The teleconference on Saturday, February 4, 2017, 7:00PM-9:00PM (EDT) [4:00PM-6:00PM (PDT)], will be conducted in the form of a Dhamma Deshana by Ven. 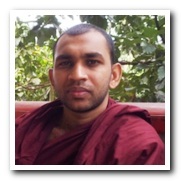 Siyambalanduwe Chandrawansa Thero of Kande Vihara, Kahabilihena, Attanagalla, Sri Lanka, followed by a Question and Answer / Discussion session on the same topic. The teleconference on Saturday, January 28, 2017, 7:00PM-9:00PM (EDT) [4:00PM-6:00PM (PDT)], will be conducted in the form of a Dhamma Deshana by Ven. Kottawe Nanda Thero of Long Island Buddhist Meditation Center, NY, USA, followed by a Question and Answer / Discussion session on the same topic. The teleconference on Saturday, January 21, 2017, 7:00PM-9:00PM (EDT) [4:00PM-6:00PM (PDT)], will be conducted in the form of a Dhamma Deshana by Ven. 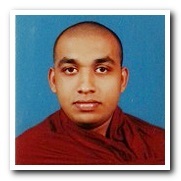 Millagala Vimalasiri Thero of Sri Saranatha Vidyapeeta Maha Pirivena, Halloluwa, Kandy, Sri Lanka, followed by a Question and Answer / Discussion session. The teleconference on Saturday, January 14, 2017, 7:00PM-9:00PM (EDT) [4:00PM-6:00PM (PDT)], will be conducted in the form of a Dhamma Deshana by Ven. 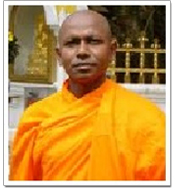 Hathamunagala Ariyawansa Thero of Sri Saranatha Vidyapeeta Maha Pirivena, Halloluwa, Kandy, Sri Lanka, followed by a Question and Answer / Discussion session. The teleconference on Saturday, January 7, 2017, 7:00PM-9:00PM (EDT) [4:00PM-6:00PM (PDT)], will be conducted in the form of a Dhamma Deshana by Ven. 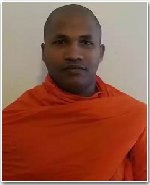 Huruluwewe Chandrawansa Thero of Sri Saranatha Vidyapeeta Maha Pirivena, Halloluwa, Kandy, Sri Lanka (who is currently visiting International Buddhist Society of Pennsylvania, Crystal Spring, PA, USA), followed by a Question and Answer / Discussion session.